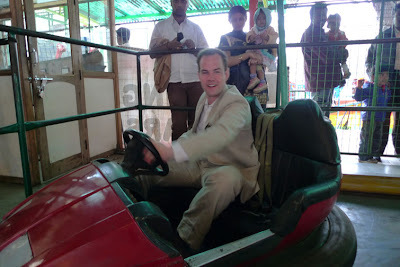 Trains, planes and automobiles traded in for a pony, plastic bull and metal bumper car...nice pics. 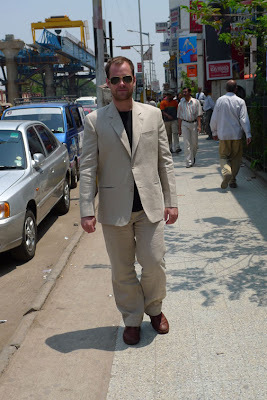 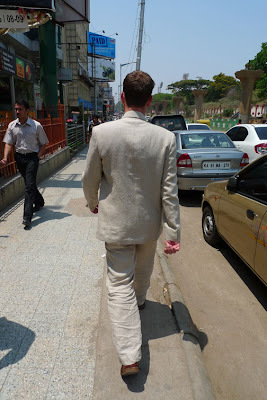 Your new linen suit looks like it was made by the hands of Ganesha Himself, using the silken hair of a thousand virgins bathing in the Ganges. 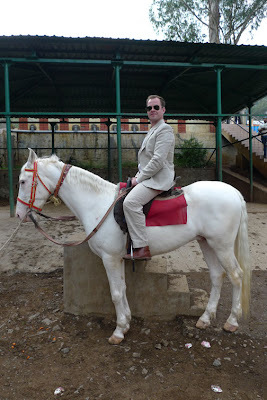 And you wear it like a Maharajah, which is coincidentally what you look like atop that horse. 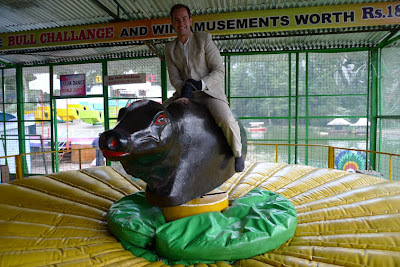 The mechanical bull is a little less stately, but pretty awesome anyway.